There are no flowers on this collection. Collection discarded. Field Notes: Coll. No. 97. 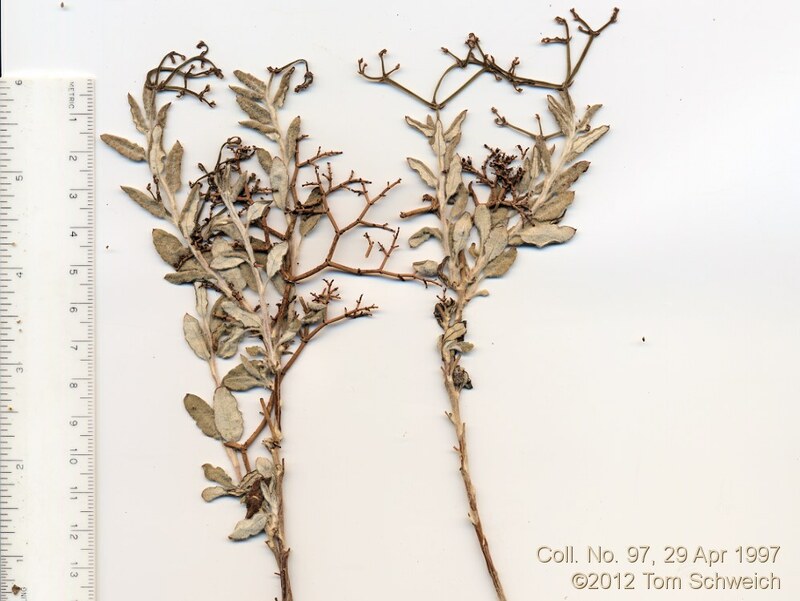 Other photos about Species - Polygonaceae or Eriogonum microthecum.